Kate Havnevik is a Norwegian singer and songwriter from Oslo. Her debut album, the electronica-infused "Melankton," was released in March 2006 on iTunes and April 2006 (on physical CD) in Norway, before being licensed internationally later in the year. Havnevik has been working on three albums simultaneously - "Melankton," "You" and an acoustic album entitled "Embla." In a move similar to that of British singer and friend of Havnevik, Imogen Heap, Kate is releasing her albums through her own record label, Continentica Records. Kate Havnevik trained as a classical musician, and can play the piano, the guitar and the melodica amongst other instruments, having wanted to be a classical and jazz guitarist, up until the age of 14, when she joined an all female punk rock band rehearsing and playing at Oslo's illegally occupied club, Blitz. The experience changed her musical horizons, and lead her to pursue an interest in modern electronica mixing in organic instruments like strings and brass. Havnevik set about working with producers to help hone her songs, the most famous of which is Guy Sigsworth, part of Frou Frou, who has also worked with Imogen Heap, Madonna, Britney Spears, and Bj?rk. The two co-wrote and recorded many songs together, some of which were featured on "Melankton", including "Unlike Me," "Not Fair" and "You Again," and some of which will be included on the second, as yet untitled project, including "Disobey," which Havnevik premiered on her official web site. She describes "Melankton" as "dramatic, beautiful and euphoric" record, and deemed it the perfect introduction to her music, which is why it is being released first. "Melakton" was mixed in LA, mastered in Devon, having been recorded in London, Bratislava, Oslo, Reykjavik and Los Angeles. In addition to Sigsworth, Havnevik has also collaborated with Marius De Vries, who has previously worked with Bj?rk and David Gray, and Yoad Nevo, famous for his work with Welsh singer Jem. For her third album - an acoustic project - entitled "Embla," which was partly recorded in May 2005, Havnevik worked with the harpist Rhodri Davies, vibraphonist Orphy Robinson and Lamb bassist John Thorne. In early 2006, a track from "Melankton," "Grace," was featured in an accapella form in an episode of hit ABC hospital drama, "Grey's Anatomy." The track was the lead single from the album "Melankton". In total, eight of Havnevik's songs have been featured in the show, more than any other artist. Most recently (early 2009), her single "Halo" from her upcoming album "You" was featured in the outstanding series. It is available on iTunes & at Amazon, and on her EP "Me". Kate has an audiophile quality EP, "Me", which will be only available directly from her, on tour and at her sites, starting in late-september, 2009. It features a peek into some of the songs which will be on "You". Which is slated for a 2010 release. Kate has also provided guest vocals on the tracks "Only This Moment" and "Circuit Breaker" by R?yksopp, which she also co-wrote, both featured on the album "The Understanding." Havnevik also contributes vocals to R?yksopp's live EP "R?yksopp's Night Out," recorded during a live show in Oslo in November 2005. A collaboration she recorded with Carmen Rizzo, entitled "Travel In Time", featured on Rizzo's album "The Lost Art Of The Idle Moment," has also been featured on a season 3 episode of the teen drama series "The O.C.," and more recently, the European release of her debut album Melankton. Kate did another track on Carmen's album called "Bring It Back." On Carmen's 2010 release "Through The Leaves" Kate co-wrote and sings on "This Life". 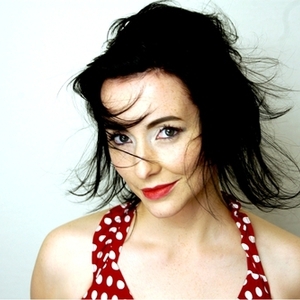 She also provided vocals and co-wrote the track "Crazy" featured on Mono Band's self-titled LP, a solo project of former Cranberries guitarist Noel Hogan, which is being readied for release, 2010.